"The Bridge on the River Kwai" holds not only a special place in director David Lean's filmography, but also among the history of film as a whole. As a work of art, "Bridge" tends to be overshadowed by another of Lean's later forays into the epic genre, "Lawrence of Arabia," but its significance is in many ways equal to that work, and like "Lawrence" is also full of suspense and political intrigue. Detailing the experiences of British soldiers captured by the Japanese military in World War II, the film focuses on the power play and psychological warfare existing between the leading British officer held in the camp, Colonel Nicholson (played by Alec Guinness), and the leading Japanese officer guarding the soldiers, Colonel Saito (played by Sessue Hayakawa). Forced as slave labor to construct a bridge for the Japanese military, Guinness' character and his men use the assignment to demonstrate British superiority and might in the face of adversity. Saito, who will be forced by social mores to commit suicide if the bridge project fails, slowly falls under Nicholson's power as the officer realizes a British engineer in his camp has greater abilities than the Japanese engineer who serves him. 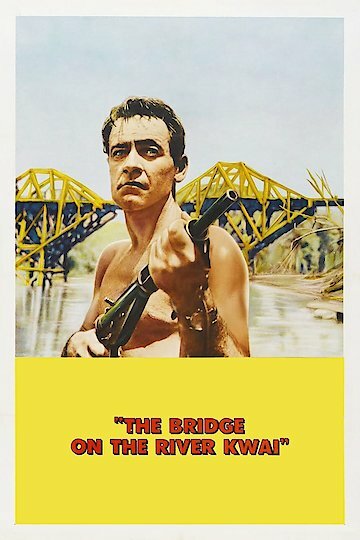 The Bridge On The River Kwai is currently available to watch and stream, download, buy on demand at Tribeca Shortlist, Amazon, Vudu, Google Play, FandangoNow, iTunes, YouTube VOD online.